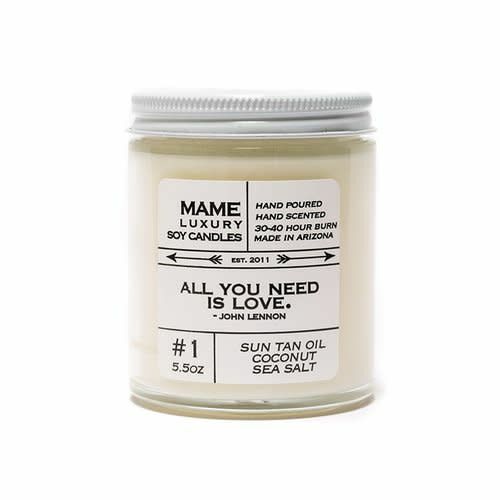 Hand poured hand scented soy candle. 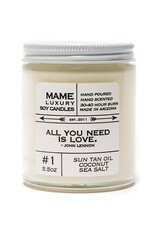 Each candle comes packed in a 5.5 ounce reusable apothecary jar with a white lid, and favorite quote on the front label. 30-40 hour burn.